Engulfed in sunlight yet enveloped by nature, this stunning home is sophisticated and beautiful yet comfortable with an inviting design. It revels in the casual elegance often lacking in today's homes. Hobby farmers will love its timeless features including custom cabinet work and stained glass, a double helix staircase, double height as well as barrel ceilings, and windows carefully placed for an abundance of natural light. 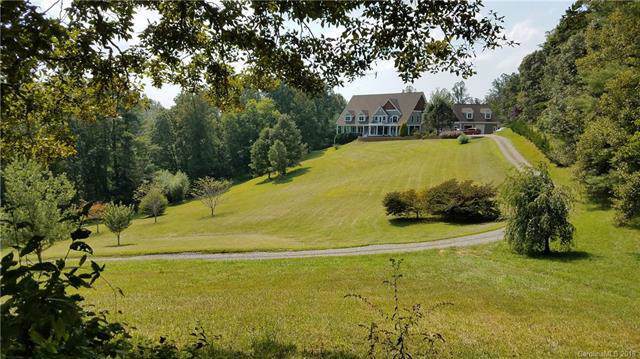 The overly spacious kitchen and luxurious bathrooms will draw you inside while the sumptuous covered dining porch with views of the mountains & pasture will beckon you outdoors. Whether you are a horse lover, artist or enjoy other passions, there is much to enjoy. 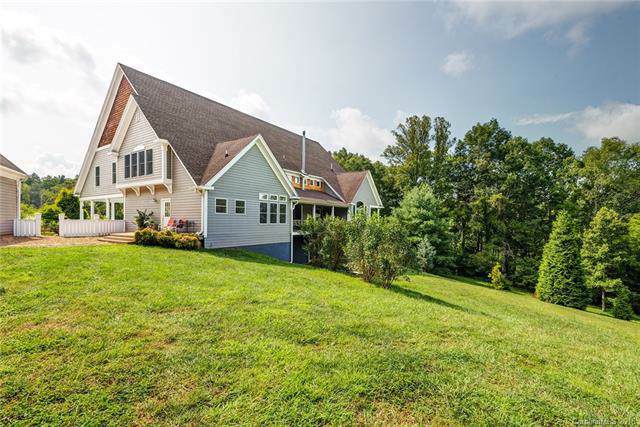 From the second living quarters, spacious art studio, & abundant flex space to the private, rolling fields filled with clover, this home has all of the aesthetics of a mountain hobby farm yet the location is convenient to all of the wonderful amenities & beauty that Asheville has to offer.